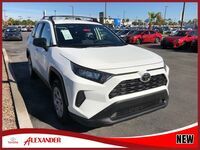 Toyota and Chevrolet have a firm, unflinching hold on every vehicle model market that they belong to, producing models that provide consumers with sleek, beautiful and fun performance every time the doors are opened and the pedals are pressed. 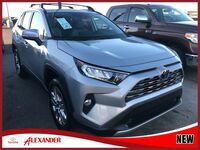 This extends to the crossover industry, where we’ve grown accustomed to seeing the Toyota RAV4 and Chevrolet Equinox sitting pretty at the top of the class. 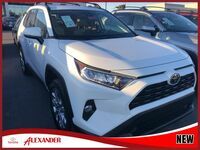 They both feature everything you need to be satisfied when you hit the road, but which crossover model is right for your wants and desires? 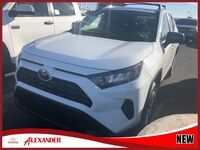 Our Alexander Toyota team knows that each model in today’s automotive market is stellar and enticing in its own right, so to help you get a clearer image of which of them best fit your needs, we’ve put some research together on the 2019 RAV4 and Equinox. Come with us today to see how they match up! 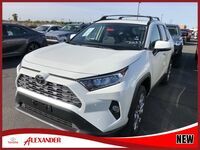 The 2019 RAV4 and 2019 Equinox are fitting counterparts in this comparison, as they both offer equivalent levels of high-end towing capacity (Up to 3,500 pounds), built-in Wi-Fi inside, and savvy infotainment systems that allow for app integration through your compatible Apple or Android devices. Still, there are ways that the 2019 RAV4 holds a serious upper hand, especially when your idea of fun involves stepping off the beaten path for an afternoon. 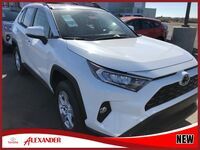 With its 8-speed Electronically Controlled Automatic Transmission, Dynamic Torque Vectoring All-Wheel Drive, and Multi-Terrain Select technology, the RAV4 does a much better job than the Equinox at helping you keep controlled on any stretch of Earth. Add this to a driving experience that’s roomier and more efficient than its Equinox competition, and this choice is clear. 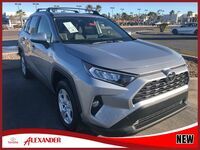 If you have any further questions about the 2019 Toyota RAV4, we’d be more than happy to help with anything you’d like to know. 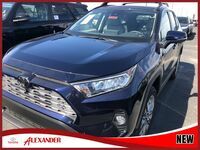 Be sure to contact our Alexander Toyota sales team today to schedule a test drive and sign off on this class leading crossover favorite!